During your search to buy visitors insurance, you may be deciding between these two travel medical insurance plans: Safe Travels USA and Liaison Travel Choice. You want to choose the best visitors insurance policy for your travel needs, so it's important to understand the difference between Safe Travels USA and Liaison Travel Choice insurance. 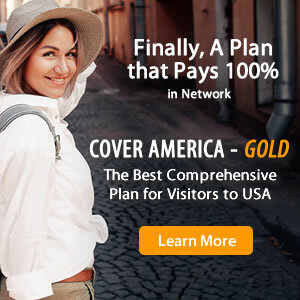 Both Safe Travels USA and Liaison Travel Choice travel insurance policies are comprehensive plans, meaning that they provide percentage based coverage for most eligible travel benefits. Each visitors insurance plan offers specific details and exclusions, so the main differences between Safe Travels USA insurance and Liaison Travel Choice insurance are highlighted in the comparison chart below.